There’s always a risk of something getting lost on its way here, which is why I only order items from eBay sellers with a very high rating, keep track of all my purchases in a spreadsheet with shipped/delivery dates, seller info and comments on any issues I’ve had, and make sure all my transactions are covered by PayPal Purchase Protection. So far, out of about 50 orders through eBay and multiple chinese/thai websites, only 1 package hasn’t arrived, and 1 item wasn’t as described, both of which were fully refunded. My favorite items in this mailbag are definitely the straw hat LEDs. I didn’t even know they existed, until I found out about them after reading up on people using them for their 3D LED cube projects. The 50 straw hat LEDs I have lying around now aren’t nearly enough to build my own cube, but I wanted to try them out first before committing to ordering 1000+. The straw hat LED on the right has a flatter shape than the more traditional round LED on the left, with its innards positioned closer to the top. This causes the straw hat LED to emit light at a much wider angle, compared to the round LED with its narrow, mostly vertical, cone emanating from the top. 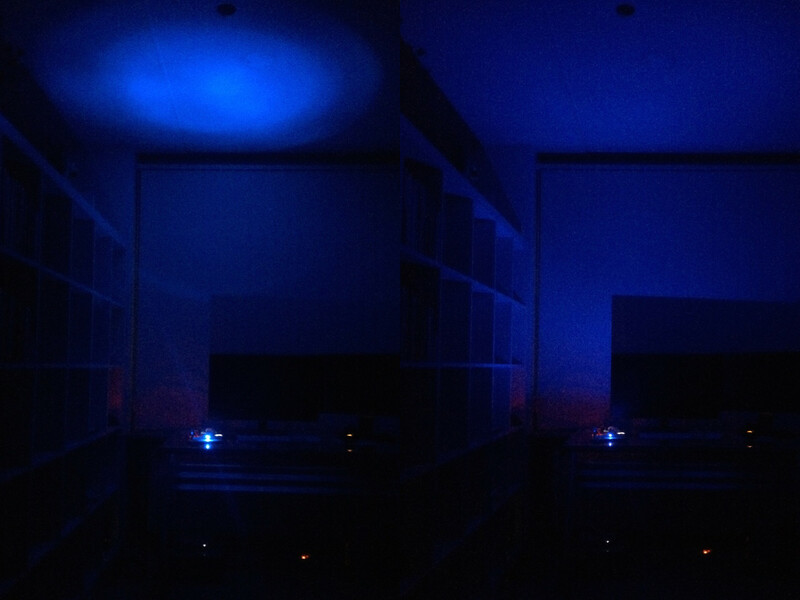 For a comparison, I could have just held the LEDs up against a white surface, but I thought showing them off in my dark office was more fun. 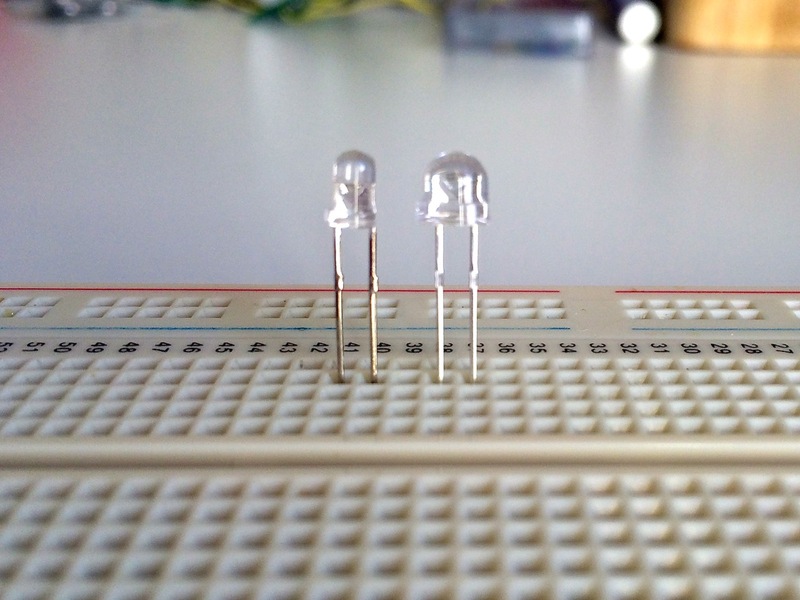 Both of these blue LEDs are powered with 5V/25mA. The round LED on the left concentrates most of its light vertically onto the ceiling, while the straw hat LED on the right illuminates the room at a wider angle, in a more even glow. 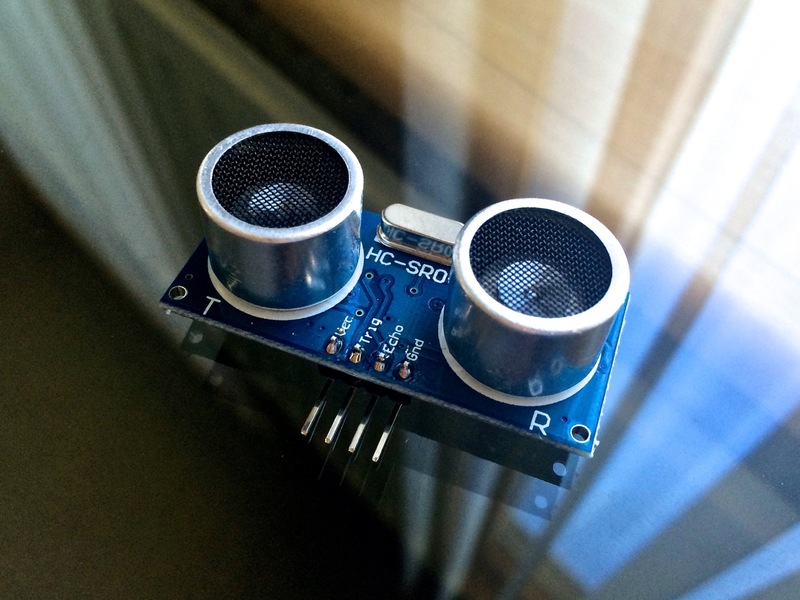 My second favorite item is the HC-SR04 ultrasonic ranging module. 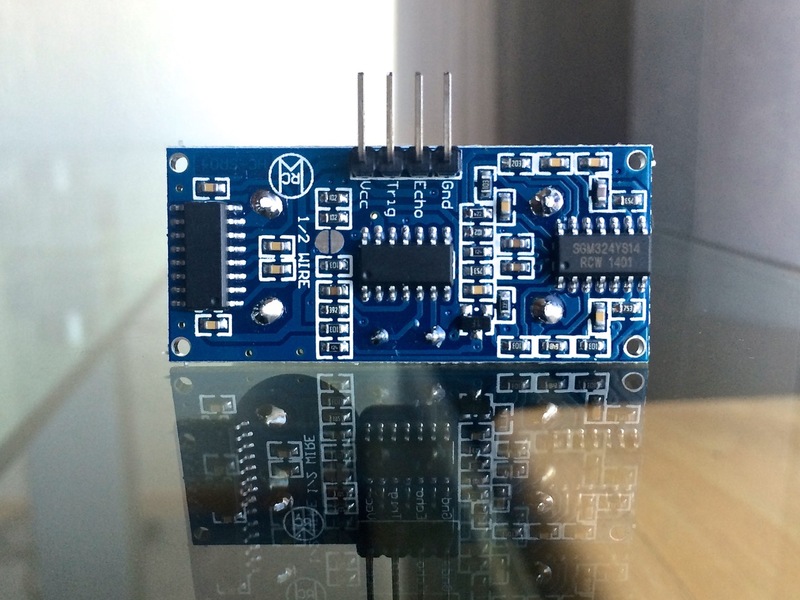 This 2-wire distance sensor is very easy to use, with lots of tutorials available online. To get the sensor up and running, you send a short pulse on the Trig pin, and then measure the length of the pulse on the Echo pin. That’s all there is to it. You’ll probably be done with about 10 lines of code. Including hooking up the wires and googling for a working example, I had the sensor up and running in about 10 minutes. I did some quick tests, and was able to get accurate readings from 2cm to a bit beyond 450cm, after which I ran out of space to test without a battery pack for the Arduino. At one point I considered adding the sensor to my alarm clock project as a handsfree interface, but I want to be careful with feature bloat, and finish the base project first before adding more parts. Instead, it may find a home in a future robot project. I became interested in surface mounted technology after discovering a lot of ICs aren’t available as DIP packages. 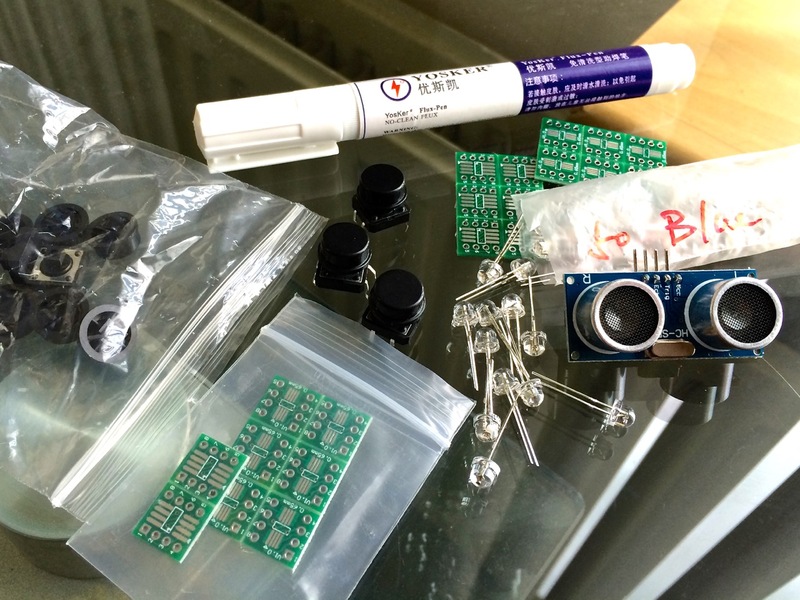 Soldering tiny SMT sizes did sound rather intimidating at first, but as long as I buy the appropriate equipment, and get enough experience, I’m confident I can learn to hand solder most sizes (or if all else fails, put together a reflow oven). I may have to get one of those SMT test boards with a bunch of components in different sizes just to get a feel for it without destroying anything important. While I still have a lot of gear to upgrade and buy before I’m ready to move on from through-hole parts completely, these adapter boards seemed like a good start. 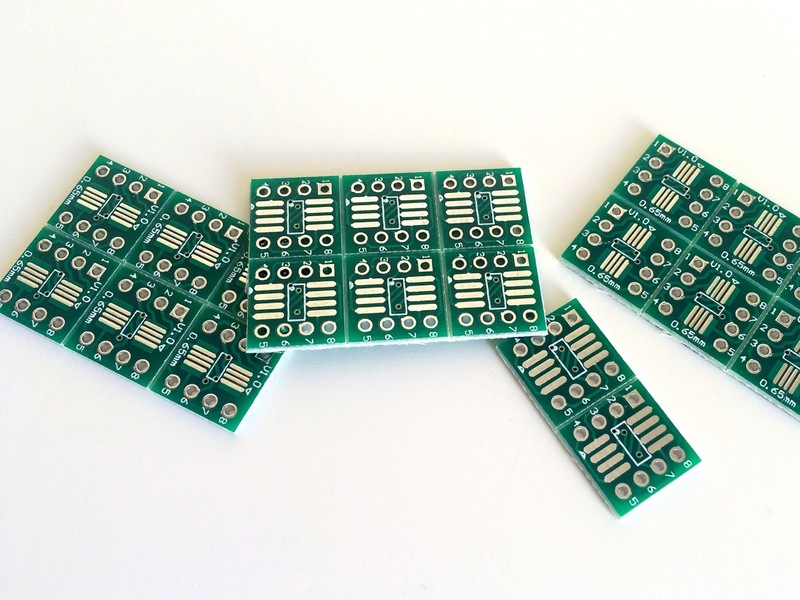 The boards are double sided, allowing me to either solder on a SOIC8 or SSOP8 sized package, and use it as a regular through hole component. This is also where the flux pen comes in, which apparently is the magic that makes surface mounted soldering so much easier. I’ve left out the tactile switches and their caps for a separate post, where I’ll show off all the switch sizes and types I’ve collected so far.